Lisette Martinez is Yale New Haven Health System’s Chief Diversity and Inclusion Officer. She is responsible for the success and continued growth of the system’s diversity and inclusion efforts, guiding analysis, development and implementation of strategies to advance diversity and inclusion throughout the system. Before joining the health system, Lisette Martinez was the System Director of Diversity and Language Services at TriHealth. Her responsibilities included leading a multi-dimensional D&I strategy, enhancing the inclusion efforts of the workforce and advocating actions to help achieve advantages of a diverse workforce. She facilitated the implementation of diversity change management initiatives; and worked to provide linguistic services for patients who have limited English proficiency or are deaf or hard of hearing. Lisette’s ability to think strategically on a global corporate perspective makes her integral to the success of continuing and growing TriHealth’s commitment to diversity and inclusion. Lisette is currently a board member of the Girls Scouts of CT and also New Haven Works. She was previously a board member of the Greater Cincinnati Community Action Agency where she was a member of the Programing and Marketing committees and lobbied for the Head Start program. She was also a board member of the Diversity Advisory Council for the Cincinnati Reds. She was a member of the Ohio Minority Supplier Development Councils Leadership Advisory Committee and a member of the Cincinnati CDO Roundtable. Lisette is also a proud member of Alpha Kappa Alpha Sorority Incorporated where she is an active member of the Phi Psi Omega Graduate Chapter; and also a member of the New Haven Chapter of the Links. 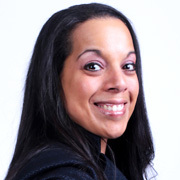 Lisette is the recipient of the 2016 top 100 under 50 Executive Leaders award by Diversity MBA magazine and was also a Forty under 40 awardee in 2012; and was one of the first women in Cincinnati to receive the Women of Influence Award by Lead Magazine in 2013. In 2014 she was awarded the Multicultural Leadership Award by the Ohio Diversity Council. Most recently she was honored by Major League Baseball with the SEAT 21 award that recognizes individuals who embody the humanitarian spirit of Roberto Clemente. She is a proud member of Urban Leaders Class 21 and is a graduate of Leadership Cincinnati’s Class 38. Lisette graduated with Delta Epsilon Sigma honors from Thomas More University with an MBA in May of 2006; and received her BBA from the University of Cincinnati in August of 1996. She has one daughter, Giselle Sophia who is a junior at the University of Cincinnati in Cincinnati, Ohio. Lisette is a native of Detroit, Michigan and of Puerto Rican descent, speaks fluent Spanish and is in love with her culture. She is always proud to share her Puerto Rican heritage with everyone she meets; and enjoys cooking her famous arroz con habichuelas (rice & beans) for her friends and family.